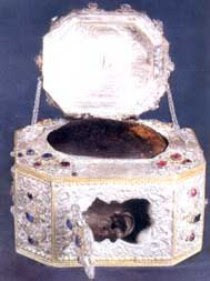 The memory of this illuminary of the Church is celebrated on November 13 and January 30 but, on this date, the Church celebrates the translation of his honorable relics from the Armenian village of Comana, where he died in exile, to Constantinople, where earlier he had governed the Church. Thirty years after his death, Patriarch Proclus delivered a homily in memory of his spiritual father and teacher. 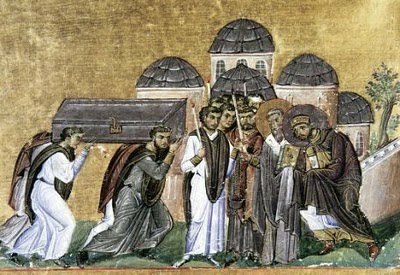 He so enflamed the love of the people and Emperor Theodosius the Younger toward this great saint that all of them desired that Chrysostom's relics be translated to Constantinople. 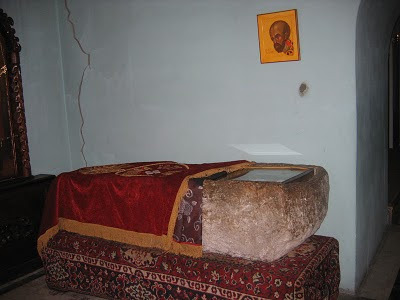 It was said that the sarcophagus, containing the relics of St. John Chrysostom, did not allow itself to be moved from its resting place until the emperor wrote a letter to Chrysostom begging him for forgiveness (for Theodosius' mother, Eudoxia, was the culprit responsible for the banishment of this saint) and appealing to him to come to Constantinople, his former residence. When this letter of repentance was placed on the sarcophagus, its weight became extremely light. At the time of the translation of his relics, many who were ill and who touched the sarcophagus were healed. When the relics arrived in the capital, then the emperor in the name of his mother as though she herself was speaking over the relics, again, prayed to the saint for forgiveness. "While I lived in this transient life, I did you malice and, now, when you live the immortal life, be beneficial to my soul. My glory passed away and it helped nothing. Help me, father; in your glory, help me before I am condemned at the Judgment of Christ!" When the saint was brought into the Church of the Twelve Apostles and placed on the patriarchal throne, the masses of people heard the words from St. Chrysostom's mouth saying: "Peace be to you all." 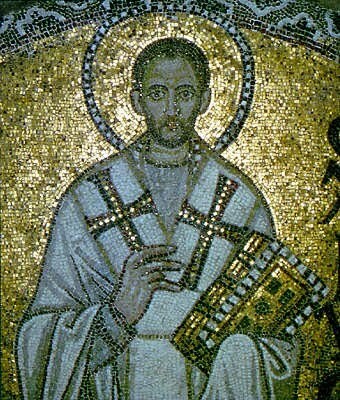 The translation of the relics of St. John Chrysostom was accomplished in the year 438 A.D.
Eternal glow, from Christ radiated. Pray to God that He forgives our sins.